One Park, a luxury condominium in Bergen County’s Cliffside Park, is preparing for the upcoming official debut of a professionally-decorated model home. DMG Investments, the developer of this 14-story building on the New Jersey Gold Coast, will host an open house this spring to celebrate the opening. The finishing touches are now being applied to the 1,555 square-foot, three-bedroom unit. The residence has a continuous 50 foot long balcony which is the perfect spot to enjoy the incredible views of the ever changing Hudson River and New York City skyline. 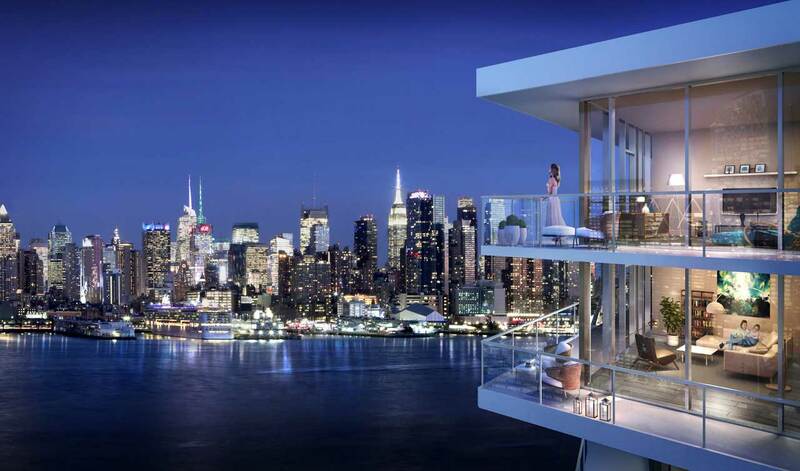 One Park redefines waterfront living with 204 lavishly-appointed one- to four-bedroom homes and a comprehensive roster of resort-style amenities. Residences are priced from $495,000. Sales information is available at the on-site sales gallery. Created by noted architectural firm Architectura, One Park features a glass curtain wall facade designed to incorporate elements of the building’s unique location on the riverfront of the Palisades Cliffs. Residences range from 752 to more than 1,600 square-feet and each one has private outdoor space. Interior spaces, curated by boutique design firm VLDG Inc., feature expansive kitchens with chef-caliber appliances, the finest fixtures, and breathe taking views. Bedroom suites are calm sanctuaries for rest and relaxation, with floor-to-ceiling windows flooding the space with light. Spa-inspired bathrooms are adorned with a freestanding sculpted tub, large open shower, porcelain flooring and richly-toned wall tiles. Halstead Property Development Marketing (HPDM) is the building’s exclusive marketing and sales agent. Give Your Bed Fresh Style.